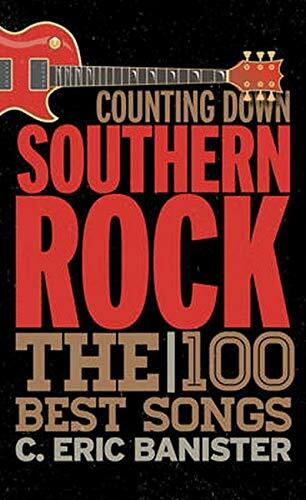 [PDF] Counting Down Southern Rock: The 100 Best Songs | Free eBooks Download - EBOOKEE! Description: When Southern rock acts like the Allman Brothers and Lynyrd Skynrd stormed American concert stages, detractors immediately came to the fore declaring the genre to be little more than a marketing gimmick. But those on stage themselves would have called its appearance not only inevitable but also a way of life. In the end, the musicians who played Southern rock reflected a robust and broad variety of influences, drawing deeply from the wellsprings of blues, rock, country, and even jazz. Listeners gravitated to the sounds of the New South, a place that had captured pop cultures imagination amid the turbulence following President Nixons successful Southern strategy and silent majorities. Southern rock garnered a second wave of enthusiasm with the rise of the urban cowboy and Bill Clintons ascension to the presidency. For nearly half a century, Southern rock has captured and expressed the energy of the New South, inspiring a legacy that listeners can still hear from jam bands, indie acts, and mainstream country musicians. In Counting Down Southern Rock: The 100 Best Songs, C. Eric Banister considers the best songs to emerge from the bands who made Southern rock what it is. Banister examines the impact of the songs on the society and culture of devoted fans and delves deep into the history and production of each song. Featuring such well-known bands as the Allman Brothers Band and Lynyrd Skynyrd as well as less visible groups like Blackhorse and Heartsfield, this book is the perfect introduction for both newbies and dedicated fans. No comments for "[PDF] Counting Down Southern Rock: The 100 Best Songs".